The McLaren MP4-12C is the first in a range of high performance sports cars from the home of the world's most successful racing car company. It is set to re-write the rules of sports car design through Formula-1 inspired engineering, revolutionary chassis architecture, and absolute focus on efficiency. McLaren pioneered the use of carbon composite construction in the 1981 Formula 1 MP4/1 model and set a trend that all Formula 1 teams have followed. On 1993, the company brought carbon fiber to road cars for the first time with the McLaren F1, and based on this, they built a carbon fiber chassis and body on the SLR manufactured on the same high standards. Inside this McLaren is the Carbon Monocell. This 12C Monocell is unique in its class by offering carbon technology. It introduces the advantages of carbon composite – light weight, high strength and torsion rigidity, and longevity – through a more affordable sector as a one-piece molding. It has been designed to allow a much narrower structure overall which in turn contributes to a more compact car that is easier to position on the road and more rewarding to drive. 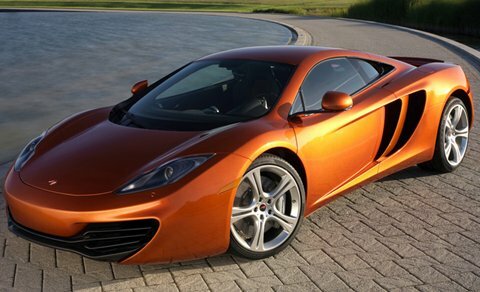 Why MP4-12C? MP4 stands for McLaren Project 4, resulting from the merger of Ron Dennis' Project 4 organization with McLaren. The '12' refers to McLaren's internal Vehicle Performance Index through which it rates key performance criteria both for competitors and for its own cars. And the 'C' refers to Carbon, highlighting the unique application of carbon fiber technology to the future range of McLaren sports cars.